We’re big fans of color – almost every color, in fact, when used appropriately. Too much color can be overwhelming, but the right pop of brightness against other subtle hues can be the best way to stand out in a crowd. Whether it’s a bright pair of heels or a shocking mustard yellow t-shirt, you are going to love the effortless style these pieces bring to your look. Our favorite bright hues this spring/summer are chartreuse and coral/red (not together though!). Below are some of our picks for that perfect POP for your day-to-day ensembles. 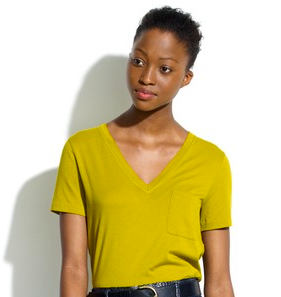 We ADORE this mustard yellow tee. Soft but still dramatic, this comfy t-shirt deserves a place in your closet. You can’t pass up a deal this good! 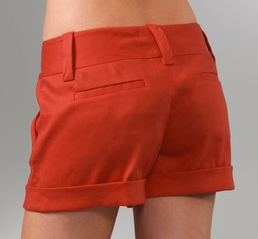 These blood orange shorts are a fabulous way to draw attention to your long tan legs this summer – this pair is extremely flattering and would look fanstastic with a crisp white oxford or a trendy racerback tank and long necklace. 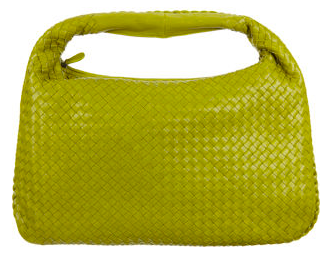 Over the holidays I was totally tempted to purchase this chartreuse woven Bottega Veneta hobo, but decided to use my Christmas money for several things instead of just one bag. While I could dish out the extra money from my savings, I am hanging onto my last thread of hope to see if it will ever go on sale. This handbag is a super eye-grabber and sits so well against your body. An shocking investment piece, but a fab investment I would bet. Valentine’s Day may be over, but red and pink are certainly not out. 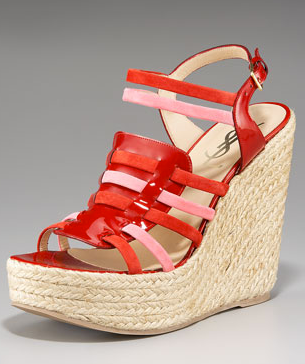 These sweet espadrilles by YSL have a great burst of girly color that is toned down by the braided jute of the platform. Wear them to a barbeque or pool party and be the ultimate summer stylista!